Friday evening chocolate cravings…oh yeah, i have just the right treat for you! The best thing is, it only takes the food processor, few ingredients, good vibrations and few minutes. 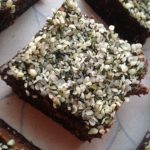 Here is what you need…All ingredients are raw, wholesome and full of nutrients, honestly this fudge will satisfy even the most spoiled chocolate lover! Add the pitted dates and process until a soft paste forms. Add the cacao powder process again. Finally add the maple syrup and a pinch of salt and process to combine until a creamy texture is achieved scraping down the sides as needed. Press firmly into a parchment lined square or rectangular pan or mold. In the food processor, blend together maple syrup and flash of ripe avocado until well combined. Add in cacao powder and a pinch of salt and process until smooth scraping down the sides as needed. 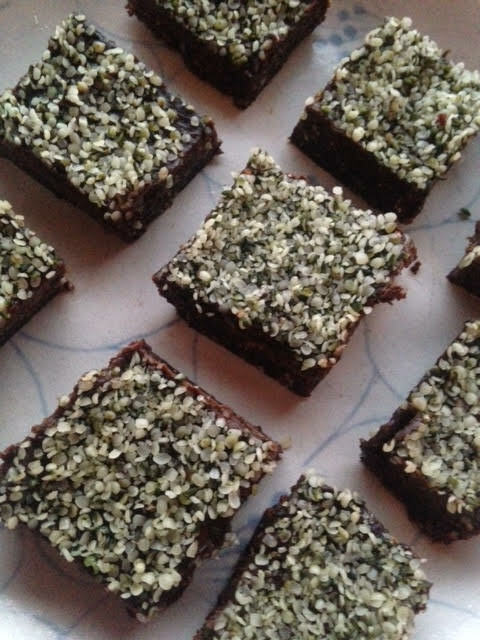 Sprinkle with hemp seeds or cacao nibs and return pan to fridge to set and firm for at least one hour.